Which Muslim Leaders were born in ‘Palestine’ ? Some people say that Arab Muslims are “native Palestinians“, while Jews are “invaders” and “settlers“. But when I read the biographies of Israeli and ‘Palestinian’ political leaders, I was confused. Who was born in ‘Palestine’ ? BENJAMIN NETANYAHU, Born 21 October 1949 in Tel Aviv. ITZHAK RABIN, Born 1 March 1922 in Jerusalem, British Mandate of Palestine. ITZHAK NAVON, Israeli President in 1977-1982. Born 9 April 1921 in Jerusalem, British Mandate of Palestine. EZER WEIZMAN, Israeli President in 1993-2000. Born 15 June 1924 in Tel Aviv, British Mandate of Palestine. SAEB BERAKAT, Born April 28, 1955, in Jordan. He has Jordanian citizenship. FAISAL ABDEL QADER AL-HUSSEINI, Born in1948 in Bagdad, Iraq. MAHMOUD AL-ZAHAR, Born in 1945, in Cairo, Egypt. Just to refresh your memory, the state of Israel was borne on May 14, 1948, following the Balfur (British Minister for Foreign Affairs) on 2 Nov. 1917 and the British victory over the Ottomans who ruled Palestine for almost 200 years, and were the German Allies in W.W I. So following the Zeise Picko pact, in 1920 the British received from the U.N the Mandate to rule over Palestine and care for the Jewish Home Land. The *first* Muslim ‘palestinian’ Leaders were born in Egypt, Syria, Iraq and Tunisia, and THEY were the *invaders* and *occupiers* of the Jewish State of Israel. 91 years has passed since the birth of the “Mandate for Palestine,” an historical League of Nations document, that laid down the Jewish legal right to settle anywhere in western Palestine, the area between the Jordan River and the Mediterranean Sea, an entitlement unaltered in international law. 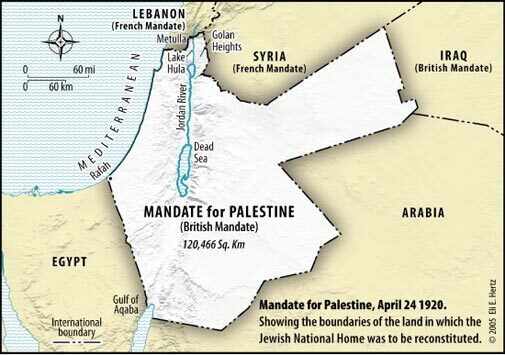 It is important to point out that political rights to self-determination as a polity for Arabs, were guaranteed by the same League of Nations in four other mandates—in Lebanon and Syria [The French Mandate], Iraq, and later Trans-Jordan [The British Mandate]. Any attempt to negate the Jewish people’s right to Palestine—Eretz-Israel, and to deny them access and control in the area designated for the Jewish people by the League of Nations is a serious infringement of international law. To get an idea of how many businesses have been taken over by the MB, check the holdings of just one man and one conglomerate – Prince Alwaleed’s Kingdom Holding Company (he’s a 95% owner) here. Look carefully at the list. Please know that the Muslim Brotherhood has spent the last 50-60 years buying up businesses, including media properties (or buying significant positions in newspapers, studios, TV and radio stations, book publishers, magazines, websites, social media, etc. ), so incidents like this anti-Semitic expulsion from hotel grounds won’t be widely reported. (Of course, the Left (Soros and company controls the message as well). What I am elucidating here is that what transpired at the Shangri-La will primarily be transmitted on a word-of-mouth basis and through our email and Internet channels (also our limited radio venues). Under normal conditions OR if blacks, homosexuals or Muslims had been targeted, a protest outside of the hotel would have a significant impact and receive broad media coverage. As the victims are Jews, MB and government control of the news will preempt that process. EACH item on this list – ONE listing – can represent hundreds of entities. For example, Fox News’ parent company, News Corporation (just ONE listing) is the 2nd largest media group in the world and the 3rd largest entertainment group in the world. Below is THEIR extensive list of media/entertainment properties. THIS shows you how BIG the problem of Muslim Brotherhood infiltration and control of America is! Remember, below is the complete list of holdings for “News Corporation” ONLY. Fox Searchlight Pictures – specialized films. British Sky Broadcasting, United Kingdom & Ireland (39.1% holding). In practice, a controlling interest. Fox Sports Net, a chain of US regional cable news television networks broadcasting local sporting events linked together by national sports news programming. Local channels include “Fox Sports Southwest“, “Fox Sports Detroit“, etc. (some affiliates are owned by Cablevision). Fox College Sports, a college sports network consisting of three regionally aligned channels, mostly with archived Fox Sports Net programs but also some live and original content. Fox Soccer Channel, a United States digital cable and satellite network specializing mainly in soccer. Hulu (27%) – online video streaming site in partnership with NBC Universal and The Walt Disney Company. Fox Sports Grill (50%) – Upscale sports bar and restaurant with 7 locations – Scottsdale, Arizona; Irvine, California; Seattle, Washington (U.S. state)|Washington; Plano, Texas; Houston, Texas; San Diego, California; and Atlanta, Georgia (U.S. state)|Georgia. Fox Sports Skybox (70%) – Sports fan’s Bar & Grill at Staples Center and 6 airport restaurants. May G-d bless the IDF with the strength of Joshua. As a defamer of his fellow Jews, Noam Chomsky is in a class of his own. “Hitler’s conceptions,” he once wrote, “have struck a responsive chord in current Zionist commentary.” Israel, he added, is guilty of planning a “final solution” for humanity, an apocalypse from which “few will escape.” The world-famous MIT professor and far-left intellectual guru has described the PLO as “heroic,” while vilifying America’s Jewish community as “deeply totalitarian.” He has collaborated with Holocaust deniers, allowing them to publish and distribute his books, and he gave hisendorsementto an antisemitic author (the late Israel Shahak) who alleged that observant Jews pray to the Devil. Video > “Liberals” and what they believe. Today’s a Great Geller Day! …Finally kicked-out and gone forever is TERRORIST Mahmoud Mohammad Mohammad. Thank you Canada ! TORONTO — A Palestinian terrorist who fought the Canadian government’s attempts to expel him for 26 years was finally deported to Lebanon on the weekend aboard a flight chartered by the Canada Border Services Agency. CPMahmoud Mohammad Issa Mohammad, shown in this undated file photo, was deported over the weekend. Citizenship and Immigration Minister Jason Kenney was expected to announce the deportation of Mahmoud Mohammad Issa Mohammad, 70, who had been living in southern Ontario since 1987, on Monday afternoon in Ottawa. The case of the former Popular Front for the Liberation of Palestine member had become symbolic of the flaws in Canada’s immigration system, often cited as an example of the government’s inability to control its own borders. Despite being convicted for attacking an El Al passenger plane in Athens in 1968, Mohammad immigrated to Canada in 1987 by concealing his past. Federal officials began deportation proceedings against him in 1988 but he fended them off by filing appeal after appeal in the courts. But following one last latest flurry of court appeals two weeks ago, his legal odyssey reached its end. In making the announcement, Mr. Kenney was expected to argue that such a delay could not happen again due to changes introduced by his government. Many Canadians were angered by Mohammad’s lengthy stay in Canada. After joining the PFLP at age 25, he underwent a month of military training before he was sent to Greece to take part in a terrorist attack. On Boxing Day, 1968, he and an accomplice stormed a Boeing 707 as it was readying for takeoff. They fired 83 rounds at the plane and lobbed six grenades, killing one passenger. Mohammad was caught and sentenced to 17 years in prison, but in 1970, he was freed after Palestinian terrorists hijacked a Greek airliner and threatened to blow it up unless he was released. Mohammad moved to Cyprus and then travelled to Spain, where he applied to immigrate to Canada. Together with his wife and three children, he arrived in Canada as an immigrant on Feb. 25, 1987. It took authorities a year to figure out he had not been truthful when he claimed on his immigration application that he had never been convicted of a crime. An immigration adjudicator ruled in December, 1988, that he should be deported. But Mohammad then applied for refugee status and, although his claim was rejected, he remained in Canada while his appeals were heard by the courts. Some of his more recent appeals argued he could not be deported because his health was bad and the Lebanese medical system was inadequate. 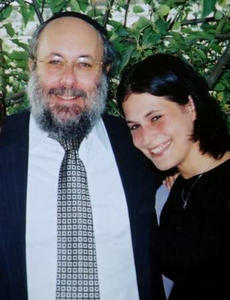 “Love thy Neighbor” – In memory of Dr. David Applebaum, head of emergency medicine at Shaare Zedek Hospital in Jerusalem, murdered by an Islamic terrorist attack, September 9, 2003. Dr. Applebaum appeared at the scene of numerous terror attacks in Jerusalem, helping evacuate and treat scores of victims. In September 2003, on the second anniversary year of the September 11 attacks, Dr. Appelbaum came to New York and discussed best practices in handling emergencies. He returned home for his daughter Nava’s wedding. The next day, they were killed in an Islamic terrorist bombing attack on the eve of her wedding. The commandment to “love one’s neighbor” is carried out by Israel’s military and civilians in their responses to disasters around the world — both natural and man-made; at the time of crisis and years later; to both friends and enemies. The commandment is broader than just loving friends, as the entire quote makes clear. It also covers people that hurt you. It is easy to ignore such people and hold a grudge. The bible directs people to avoid that instinct. Explain the pain; correct the imperfect. There may not be reconciliation, but kindness may lead to dialogue. At a minimum, the positive actions will have a positive impact on your other actions and attitudes. A few hours before the bombing, on September 9, Naava Applebaum attended the mikveh (ritual bath), as required by Halakha (Jewish law) for all brides prior to their wedding. She then began helping her family with the wedding arrangements, when her father decided to take her out for a “father-daughter” talk before her wedding. They went to Café Hillel on Emek Refaim Street, in Jerusalem. On the day of the bombing, September 9, security guards in the vicinity of Café Hillel were told to be on the lookout for a suicide bomber. At around 11:20 pm, a security guard stationed at a nearby pizza parlor noticed a man walking by with a bulky square-shaped box under his shirt.He yelled at the man to stop, but the man refused. The security guard did not want to shoot him in the back, for fear that it would detonate the bomb. A few seconds later, the suicide bomber detonated the bomb close to the entrance of Café Hillel.Nava and her father were entering the cafe at that time.Nava was killed together with her father.She was dead by the time she was reached by paramedics. Applebaum’s fiancé, Chanan Sand, collapsed in the emergency room of Shaare Zedek Medical Center upon hearing that his fiancée had not survived.She was buried the next day adjacent to her father in the Har HaMenuchot cemetery, in the western part of Jerusalem. Hundreds of friends and relatives traveling to Israel for the wedding arrived to find that they would be attending her funeral instead, on the day she was supposed to get married. Sand attended the funeral, and placed in her grave the wedding ring he had planned on giving her at the wedding. Denial is likely to continue until the price gets too steep. The 3,000 victims of 9/11, it turns out, did not suffice to shake Western complacency. 30,000 dead, in all likelihood, will also not suffice. Perhaps 300,000 will. For sure, three million will. At that point, worries about Muslim sensibilities and fear of being called an “Islamophobe” will fade into irrelevance, replaced by a single-minded determination to protect lives. Israel offers a control case. Because it faces so many threats, the body politic lacks patience with liberal pieties when it comes to security. While aspiring to treat everyone fairly, the government clearly targets the most violent-prone elements of society. Should other Western countries face acomparable danger, circumstances will likely compel them to adopt this same approach. Conversely, should such mass dangers not arise, this shift will probably never take place. Until and unless disaster on a large scale strikes, denial will continue. Western tactics, in other words, depend entirely on the brutality and competence of the Islamist enemy. Ironically, the West permits terrorists to drive its approach to counterterrorism. No less ironically, it will take a huge terrorist atrocity to enable effective counterterrorism.